Days that begin and end by the campfire, starlit skies so bright you know you're in the wilderness, and awe-inspiring natural settings that greet you as soon as you unzip the tent in the morning—these are just a few of the perks of a camping adventure among the scenic wonders of North America. Bring the family and prepare yourself for an unforgettable outdoor vacation on any one of these 5 family camping trips with Backroads. The Canadian Rockies contain all of the ingredients for a perfect camp experience with glacier-carved valleys, glistening peaks, cascading waterfalls, and shimmering lakes to explore and wake up to. 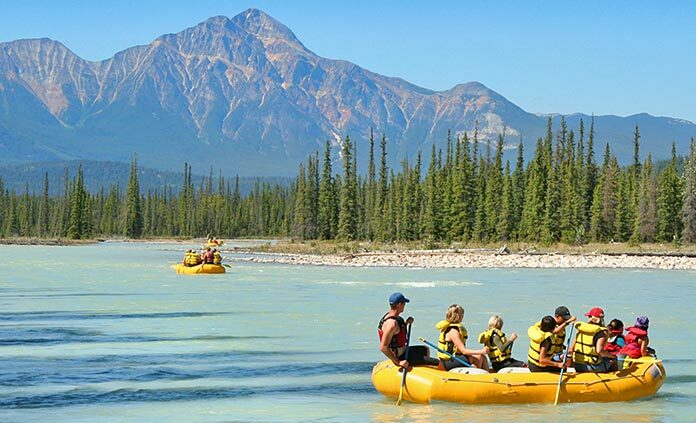 This family outdoor adventure begins in Banff, at the meeting point of three national parks—Yoho National Park, Banff National Park, and Kootenay National Park. Share the breathtaking landscapes with mule deer, elk, big-horn sheep, and the occasional black bear. Go rock climbing and white water rafting all in the same day and venture into the Rockies wilderness to sights only reachable by two feet. Imagine camping among the tallest living things on the planet with the Pacific just a hike or bike ride away. The wild coastline of northern California, with its virgin redwood forests and rocky coastline, is a sight to see. 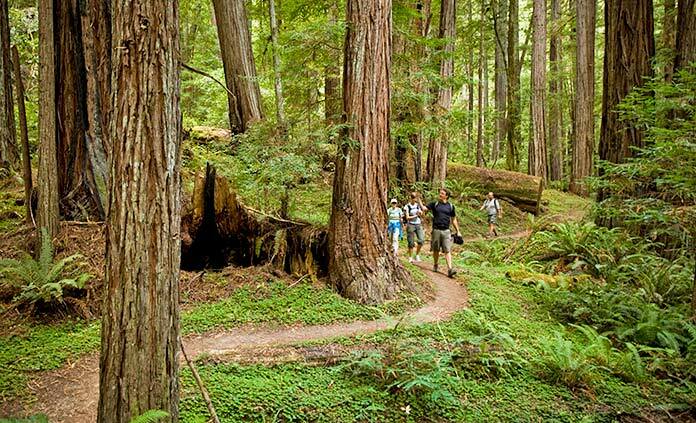 Starting in San Francisco, this trip takes you off-the-beaten-trail and up the coast for a scenic, adventure-filled vacation among colossal trees in little-visited national and state parks. By trip's end, you and the kids will likely be contemplating a permanent move to the woods. Have you ever crossed an international border by bike? On this adventure-packed trip to Montana and Alberta's national parks, you will. Camp next to scenic lakes, beneath jagged peaks, and in aspen-ringed meadows. The views by day of turquoise alpine lakes and glacier-carved valleys are as spectacular as the star-filled skies overhead each night. While nature enraptures, new lifelong family memories form, leaving you and your brood with a new appreciation for the magic of Mother Nature. 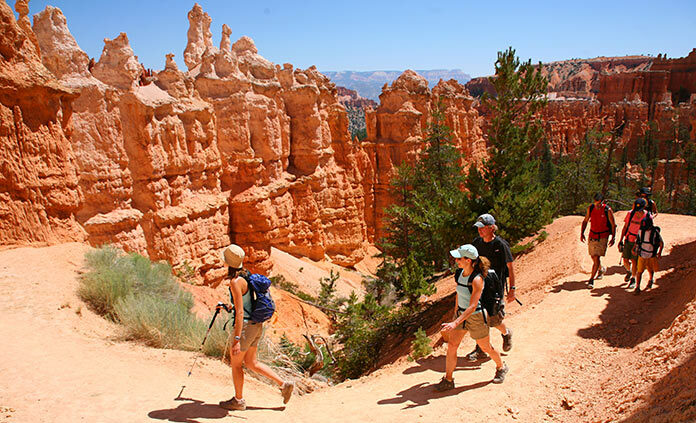 Utah's Bryce and Zion National Parks are places you have to see to believe. Camping there means the twisting trails, crimson rocks, and slot canyons are practically yours to explore, traffic-free and pristine in every way. 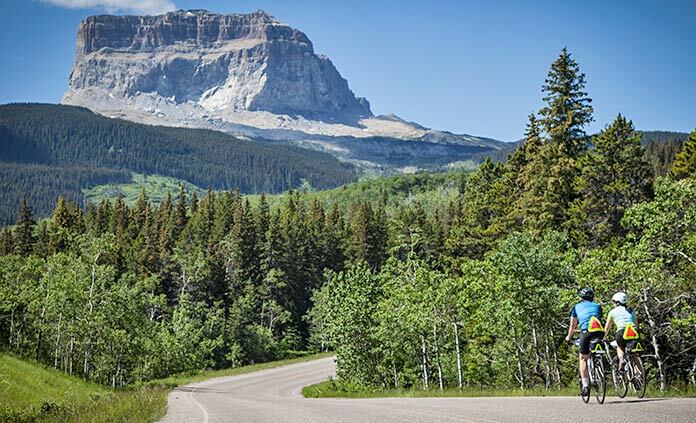 While the kids embark on memorable excursions like a pioneer-style mule-back journey, the adults can have some fun cycling and hiking through the vivid landscapes, hanging gardens, and emerald pools of these two spectacular national parks. With the jagged peaks of the Tetons as your backdrop, pedal, hike, and camp in some of America's most beautiful country. 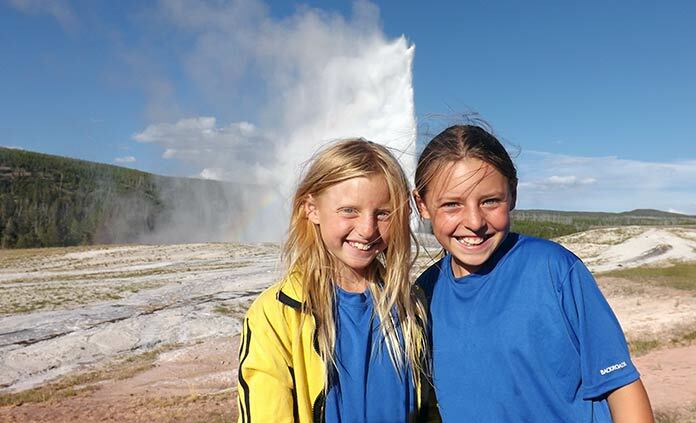 Wyoming's Yellowstone National Park and Grand Teton National Park are packed with sights to see, including a multi-colored canyon, thundering water falls, real-life cowboys, and the granddaddy of geysers, Old Faithful. Your cozy campgrounds will be a welcome sight after a jam-packed day of exploring your surreal surroundings. There will be too many stories to tell around the campfire each night, and we'll bet sharing the trail with roaming bison will be one of them.